After discovering that I could tolerate spelt pasta, I looked into buying the flour to use in recipes in place of gluten free flours, for both price and performance reasons – although I have figured out my own gluten free flour blend, because I don’t want to push myself too much with spelt and rye flour in case I go too far. At approximately $3/lb the white spelt flour (Vita Spelt) from Amazon is much cheaper than pre-made gluten free flours, although the average of the flours that I bought to try out my own gluten free flour blend was about $2.50/lb, much better than King Arthur gluten free flour’s price of $7/lb! After researching online, it appears that spelt tends to perform the same as wheat in most circumstances (breads might be a little tricky as spelt has different gluten than modern wheat) but a shortbread pastry shouldn’t pose a problem so I fructose friendlied up a shortbread pastry recipe from my Beechworth Bakery cookbook, Secrets of the Beechworth Bakery. My book is about ten years old, so I’m not sure what recipes are in the current edition. But if you can have spelt or are proficient at making normal recipes gluten free, I highly recommend it. If nothing else, it is an enjoyable read as the recipes are mixed up with some humorous stories. Spelt is an ancient form of wheat, called Triticum aestivum subsp. spelta. It contains gluten, although the ratio of gliadin:glutenin is higher than that in normal wheat. It behaves in much the same way as modern wheat does in baking. Spelt contains gluten, so it is not suitable for those with coeliacs disease. Spelt does contain fructans, although less than modern wheat. It isn’t tolerated by every fructose malabsorber but there are quite a few out there, myself included luckily, who can eat it without issue in varying amounts. Unfortunately it is something you will have to test for yourself. I increased the ratio of rice flour to spelt in this recipe to lower the fructan content even more. If you can’t find white spelt flour, just buy whole spelt flour and sift out the whole grain bits. 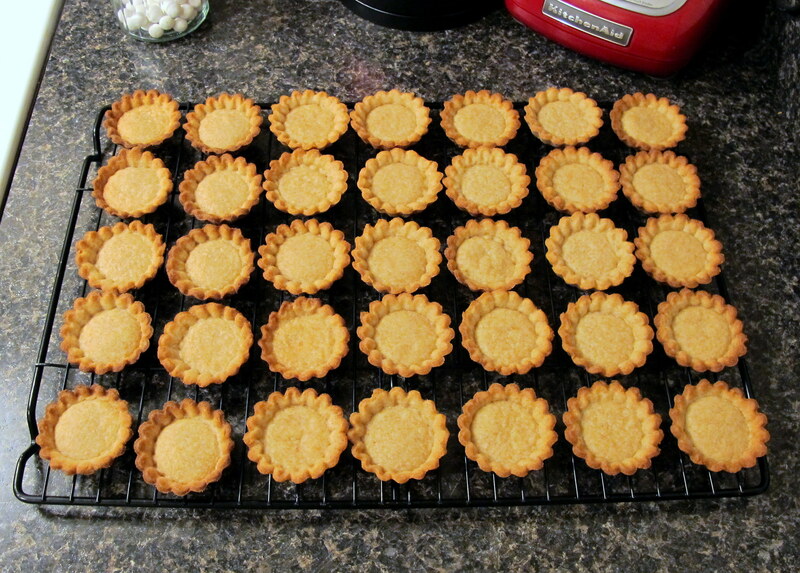 Makes 80 mini tart shells that are approx. 4-5 cm in diameter. 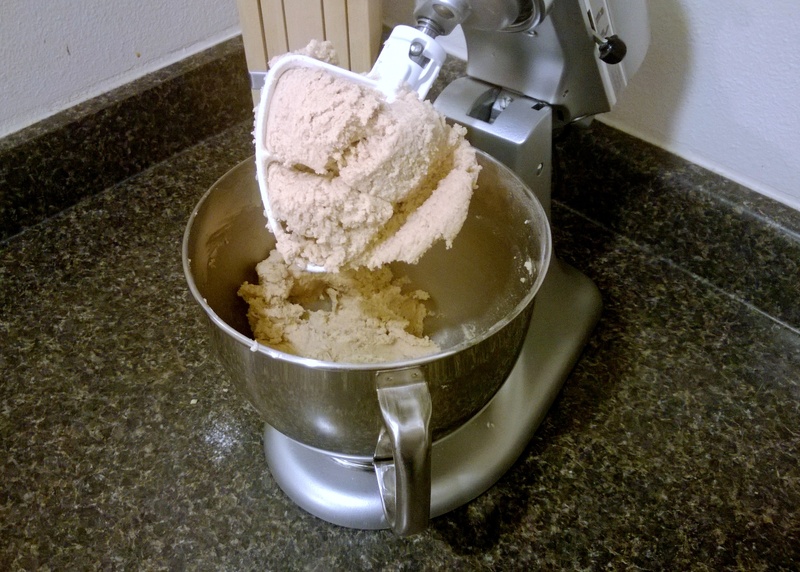 Sieve the sugar, 3/4 cup spelt flour and 1/2 cup rice flour into the bowl of your stand mixer and add in the butter, then beat on a low to medium speed until smooth. Meanwhile, sieve the second cup each of spelt and rice flour, the xanthan gum, baking powder and salt into a separate bowl. When the wet mixture is smooth, scrape down the edges and add in the egg. Beat on medium until it is smooth once more, before adding in the rest of the dry ingredients and mixing thoroughly for 5 minutes. Wrap tightly in plastic wrap and refrigerate for an hour before rolling it out for use. 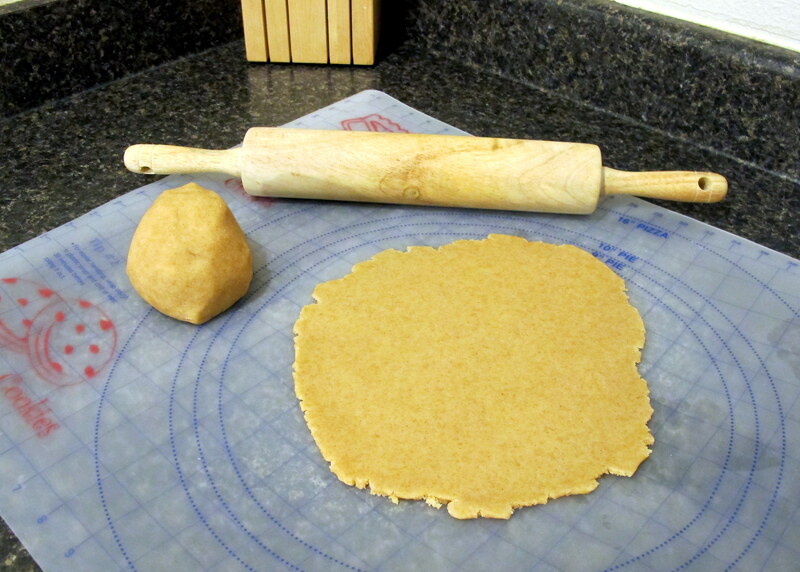 Preheat your oven to 190 C/375 F. Roll out the pastry dough; the thickness that you roll it out to will be determined by the diameter of your pie dish. 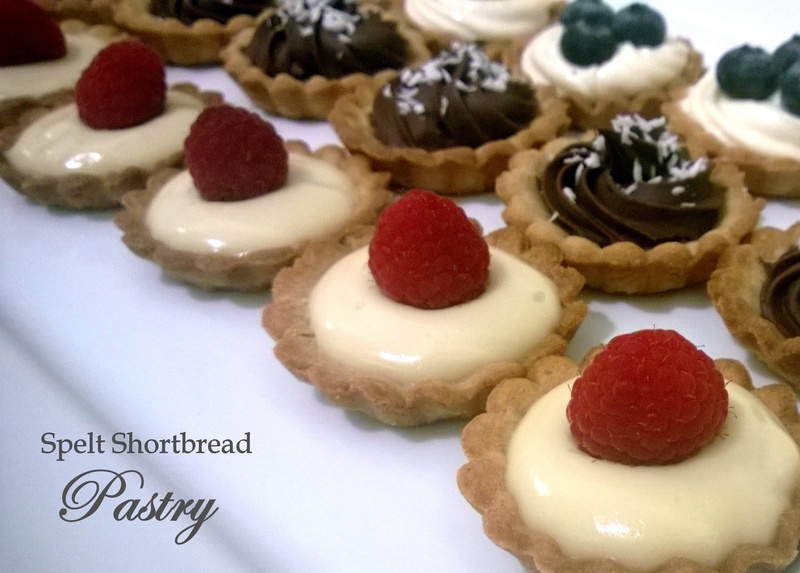 For these mini tarts I kept it at about 3 mm thick but for a bigger tart I would probably go up to 5 mm thick. Grease your tart dish of choice and then carefully lay the pastry down. Blind bake the pastry (with baking paper and pie weights/uncooked rice). 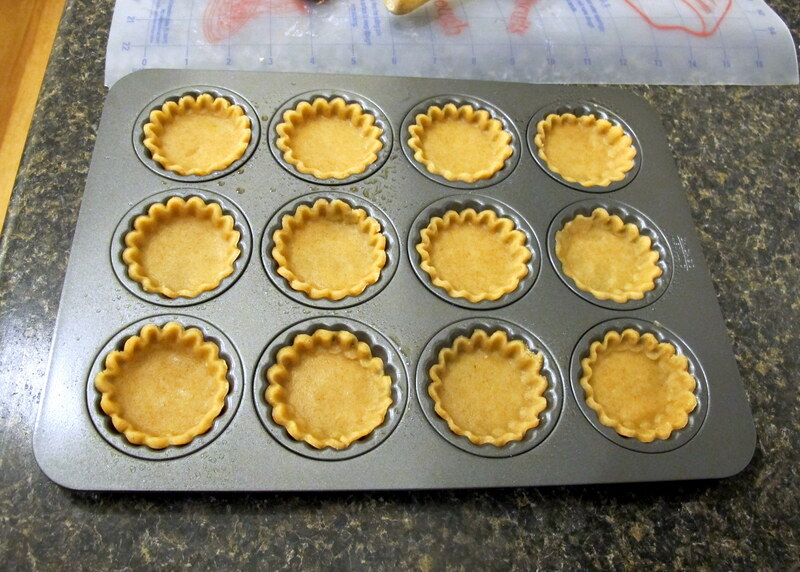 These small tart shells were perfect after 9 minutes in the oven but a larger tart shell might need a minute or two longer. 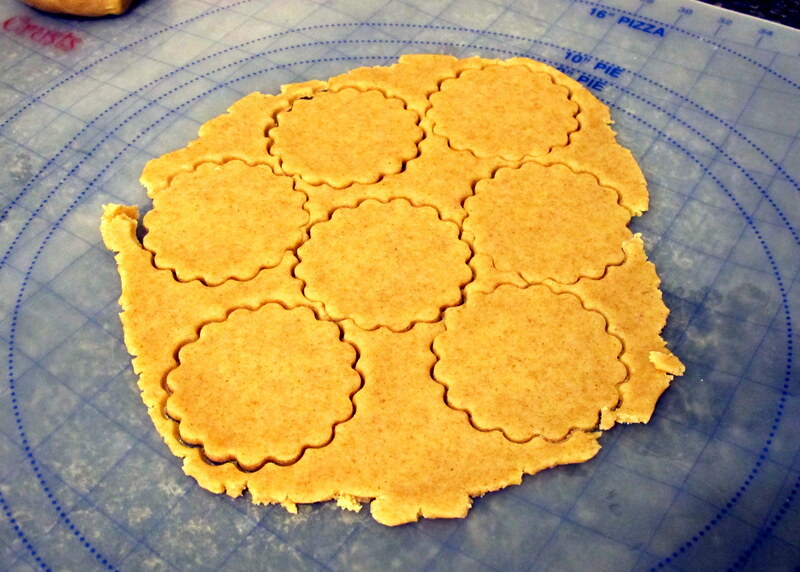 As this is a biscuit pastry, you don’t want the shells to be completely firm when they come out of the oven or they will be like rocks when they have cooled. If they are slightly soft to the touch then they will cool down to be deliciously crumbly. 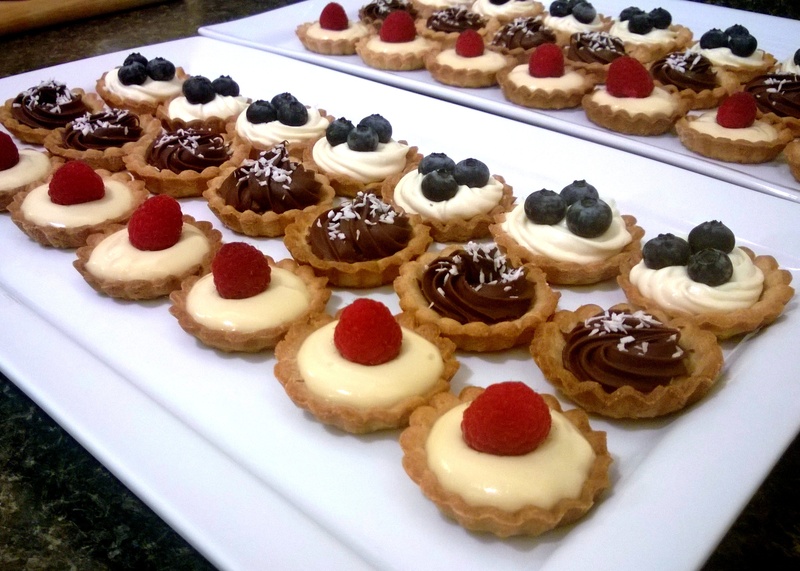 Fill your tart shells with some delicious fillings. The photo below includes my fruit and custard, chocolate hazelnut and passion fruit blueberry fillings. The passion fruit filling is my personal favourite. This entry was posted in Australian Cuisine, Biscuits and Cookies, Sweet pastries, pies & tarts, Sweets and Desserts and tagged Aussie, Australia, chocolate, custard, dessert, dextrose, dough, FODMAP, FODMAPS, food, fructose friendly, fructose malabsorption, fruit, glucose, low fructose, pastry, pie, Seattle, short bread, shortbread, spelt, spelta, sweet, tart, vanilla, vegetarian. Bookmark the permalink.